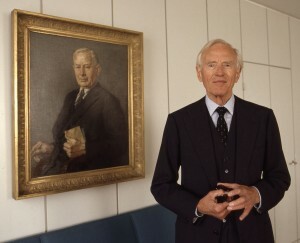 Mærsk Mc-Kinney Møller, photographed in 2003 next to a painting of his father, died on 16 April. He was 98. Mærsk Mc-Kinney Møller, a businessman and philanthropist whose business spanned multiple continents and industries, from Europe to North America, from the airline industry to oil and gas, died 16 April in Copenhagen at the age of 98. Mr Mc-Kinney Møller began to cultivate the A.P. Moller – Maersk Group into the multinational conglomerate that it is today in the 1930s, when he began to work for his father, A.P. Møller. Mr Mc-Kinney Møller became co-owner of Firmaet A.P. Møller, the managing owner/legal representative of the Mærsk Group in 1940. After his father died in 1965, Mr Mc-Kinney Møller inherited the leadership role as director and chairman of the major companies in the Maersk Group. As Mr Mc-Kinney Møller transformed his family’s shipping company, Maersk Line, into the world’s largest ocean carrier, his business endeavors expanded beyond shipping. In 1969, Maersk Air offered flights in Denmark and extended its operations to international, charter and cargo services until it was sold in 2005. In 1970, to support IT projects and operation within the Maersk Group, Mærsk Data was established and was sold to IBM in 2004. Knowledge and experience from exploration activities in Maersk Oil led to the establishment of Maersk Drilling in 1972. 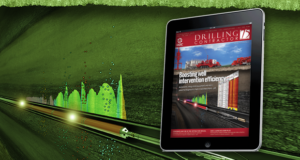 Maersk Oil and Maersk Drilling sponsored the first IADC Well Control Conference in Esbjerg, Denmark, 1990, and the drilling division is actively involved in several IADC committees. Maersk was one of the first non-US offshore contractor members of IADC and was influential in the globalization of IADC in the 1990s and continues to play a positive role, Jens Hoffmark, IADC vice president – European operations, said. Mr Hoffmark retired from Maersk Drilling in 2009, after 42 years with the company. 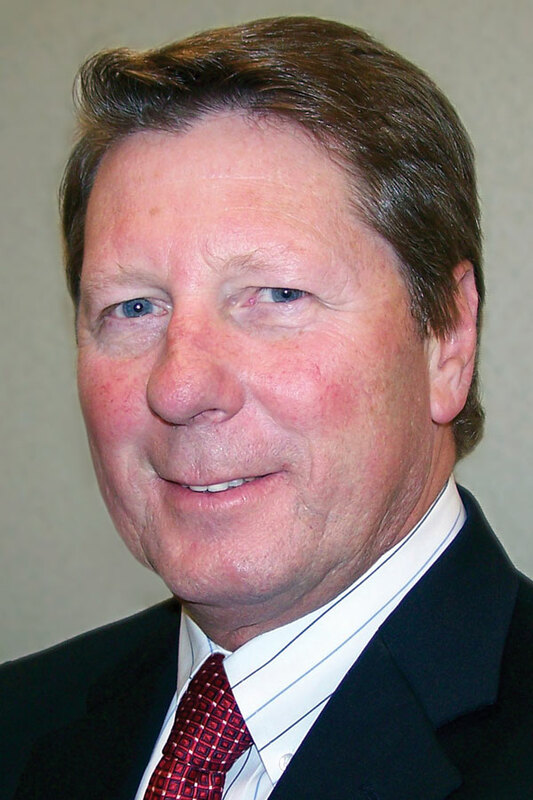 His most recent assignment was vice president – business development. “(Mr McKinney-Møller) was a remarkable man, whose primary core value of his employees was uprightness – a very hard concept to measure in our digital era but an attribute readily recognized in Maersk employees and executives,” Mr Hoffmark said. This year marks the 40th anniversary of Maersk Drilling. 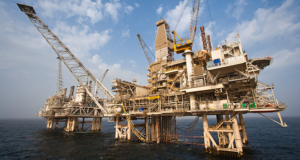 The company is increasingly focused on the ultra deepwater market. “We are working to double our fleet and hire 3,000 new employees by 2016. I’m proud to be part of this adventure – it started 40 years ago, yet one feels that we have only just begun,” Claus V. Hemmingsen, CEO of Maersk Drilling, said. Mr Mc-Kinney Møller’s wife of 65 years, Emma, died in 2005. He is survived by three daughters, Ane Maersk Mc-Kinney Uggla, Leise Maersk Mc-Kinney Møller and Kirsten Mc-Kinney Møller Olufsen. 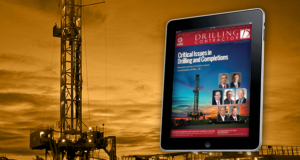 Buccaneer Energy has acquired Glacier #1 Drilling Rig from Glacier Drilling Co, a subsidiary of Marathon Oil. 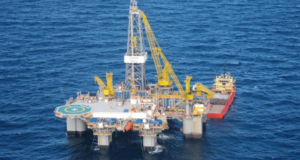 Buccaneer purchased the rig for $7.5 million. The Glacier Rig is a Mesa 1000 carrier-mounted land drilling rig. It was built in 2000 and can drill to depths of approximately 12,000 ft. The rig’s small size is ideal for pad drilling. Mark Burns, Ensco senior VP – Western Hemisphere, will replace William Chadwick as the company’s executive vice president and COO following Mr Chadwick’s retirement on 31 August. “Mark is a natural leader and an outstanding executive who is respected throughout our industry,” said Dan Rabun, chairman, president and CEO. Mr Burns was named IADC Contractor of the Year in 2007. 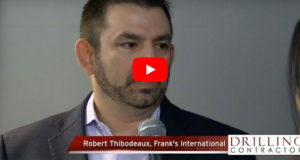 CARBO Ceramics will begin construction on a ceramic proppant manufacturing plant in Millen, Ga., by the end of 2012, and operations could begin near the end of 2013. Initial staffing for the plant should create 70 jobs in Jenkins County and bring as many as 300 construction jobs to the area during assembly of the plant. 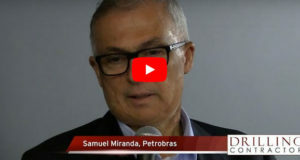 Weatherford International recently acquired Petrowell, a company specializing in the design, engineering, manufacturing and testing of completion tools. 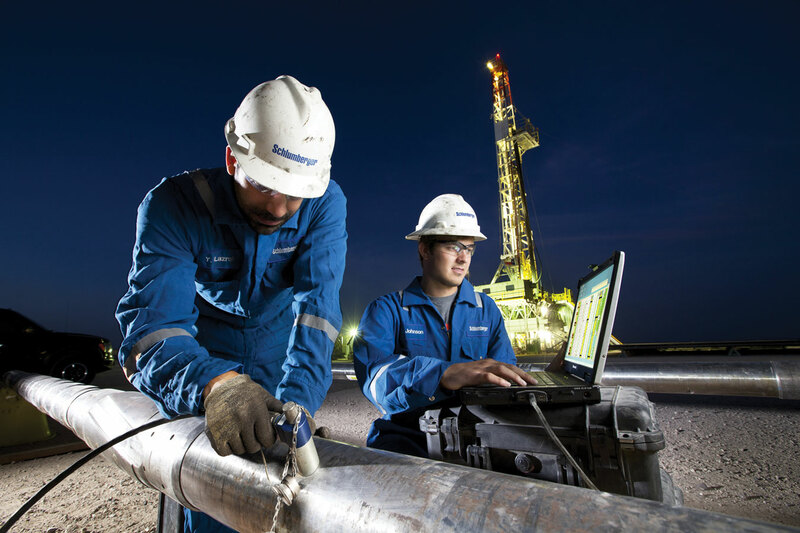 The acquisition bolsters Weatherford’s completions offering and enhances the company’s ability to provide interventionless technology and to tailor the completion geometry. MSI Oilfield Products opened a new 136,000-sq-ft thread protector manufacturing facility in Houston on 15 May. The facility features injection press capability machines, high cavitation mod bases, with additional tooling capabilities that are meant to increase production rates. The facility also incorporates MSI’s headquarters offices and room for warehousing. 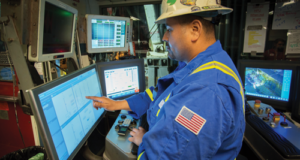 Schlumberger’s NeoScope sourceless logging-while-drilling formation evaluation service saved a customer seven days by eliminating the need for chemical sources. 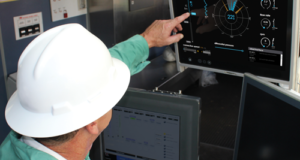 Schlumberger’s NeoScope sourceless logging-while-drilling formation evaluation service, based on pulsed neutron generator technology, eliminates the need for chemical sources. The service provides real-time measurements close to the bit to guide interpretation and decision-making. 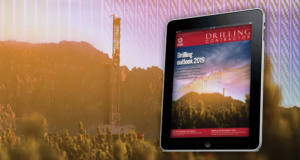 The service was used to acquire a suite of petrophysical measurements in a directional exploration well in Africa, where poor borehole conditions prevented wireline tools from reaching the entire interval. The measurements helped save seven days by eliminating time and cost associated with chemical source deployment. 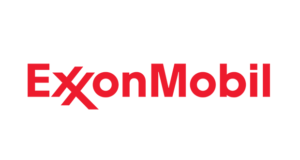 Halliburton has introduced the SperryDrill XL/XLS and GeoForce XL/XLS series motors to its fleet of positive displacement drilling motors. 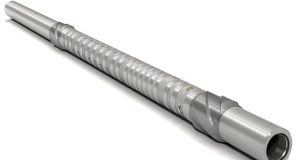 SperryDrill and GeoForce XL/XLS offer downhole drilling motor technology for harsh drilling conditions and special applications, such as air, extended-reach and high-temperature drilling. Baker Hughes’ ZX-e Electronically Actuated Casing Packer remotely creates a mechanical barrier to flow paths during wellbore construction, completion, production and abandonment operations, while a wireless top drive cement head handles heavy casing strings and remotely launches plugs, balls and darts. The ZX-e remote actuated casing packer features an electronic trigger mechanism and sets the packer without pressure or pipe manipulation. 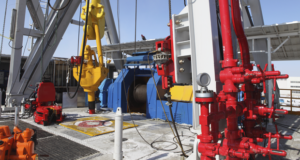 The packer creates a gas-tight barrier between casing strings for critical applications and is the first to use a modular electronic trigger mechanism. 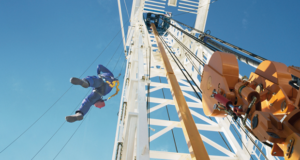 To enhance offshore rig flexibility and availability, GE has developed a BOP stack with an interchangeable lower marine riser package and lower stack frames. GE’s stacking system can land on any type of stack, which provides advantages when there are multiple stacked solutions that are custom fit. The BOP has been deployed in the GOM and West Africa regions. 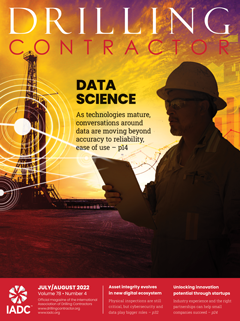 Superior Energy Services recently signed a contract with Anadarko to implement its Hydraulic Actuated Well Completion System. 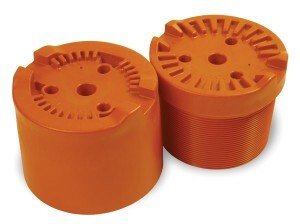 The system is fully integrated with Superior’s sand face tools. 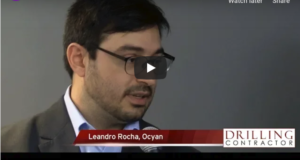 It gives customers the ability to complete, produce and remotely control multiple zones without well intervention. 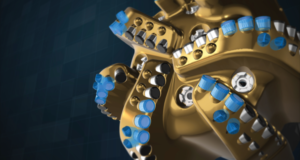 The latest developed system is suited for 12,500 differential environments. The packer is hydraulically set and retrievable while the sliding sleeves are remote hydraulically operated. 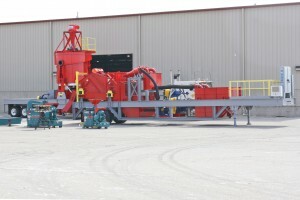 McLanahan Corp and CEMCO have produced a portable frac sand plant. 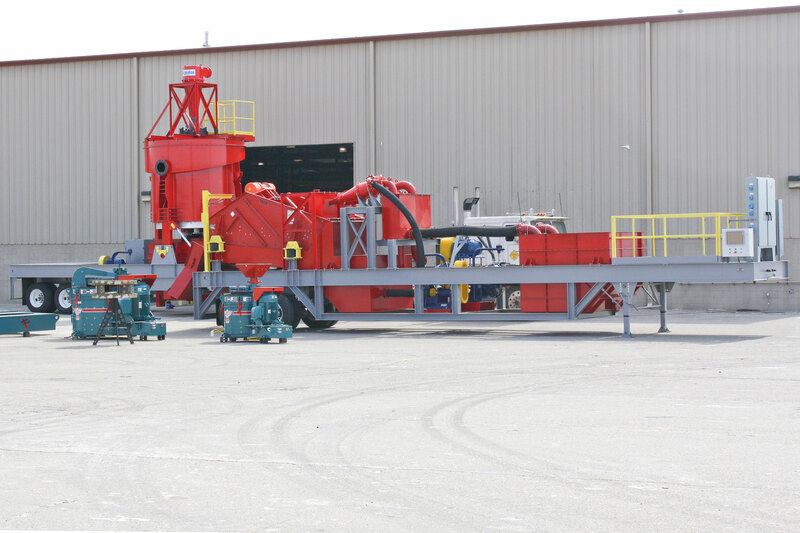 The portable plant offers an economical, efficient means for the production of two sizes of frac sand used in oil and natural gas drilling applications. The plant is easily transported from one deposit site to the next, enabling frac sand mining at multiple locations. The plant allows for high volume production without the need to own and operate multiple stationary plants and obtain building permits.